In the pacific Northwest all outdoors spaces get dirty very fast. All that rain makes moss grows just about everywhere. In the springtime a dark brown layer of muck covers everything. Concrete driveways are particularly susceptible. Every spring its time to wash all that muck off and restore our driveways to last summer's glory. Let's take a look at what it takes to wash a driveway. The most efficient method for cleaning large outdoor surfaces is pressure washing. 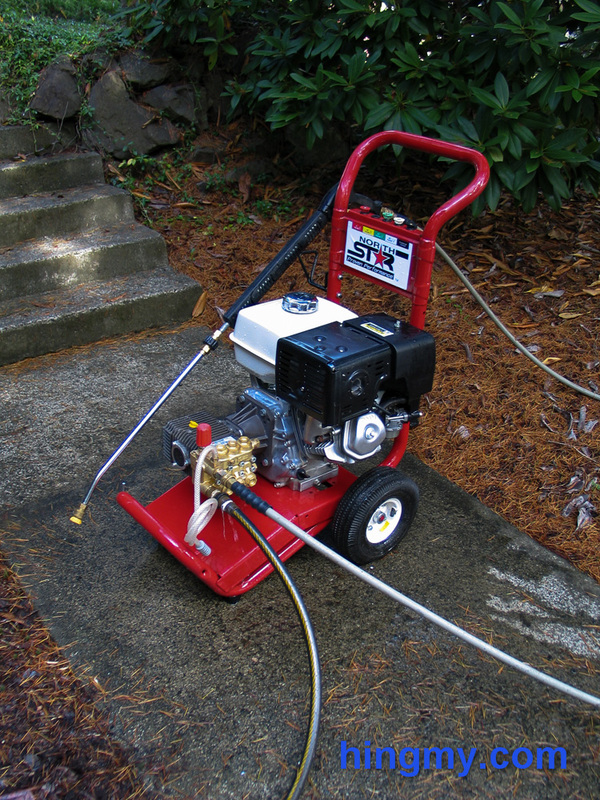 A pressure washer uses a high pressure water jet to blast dirt off a surface. This method is more effective than cleaning with a detergent. A pressure washer can be so powerful, in fact, that it cuts into concrete. If a pressure washer can't remove it, nothing can remove it. All that is required to pressure wash a surface is a pressure washer and a water source (most often a garden hose). A driveway is perfect surface to pressure wash. 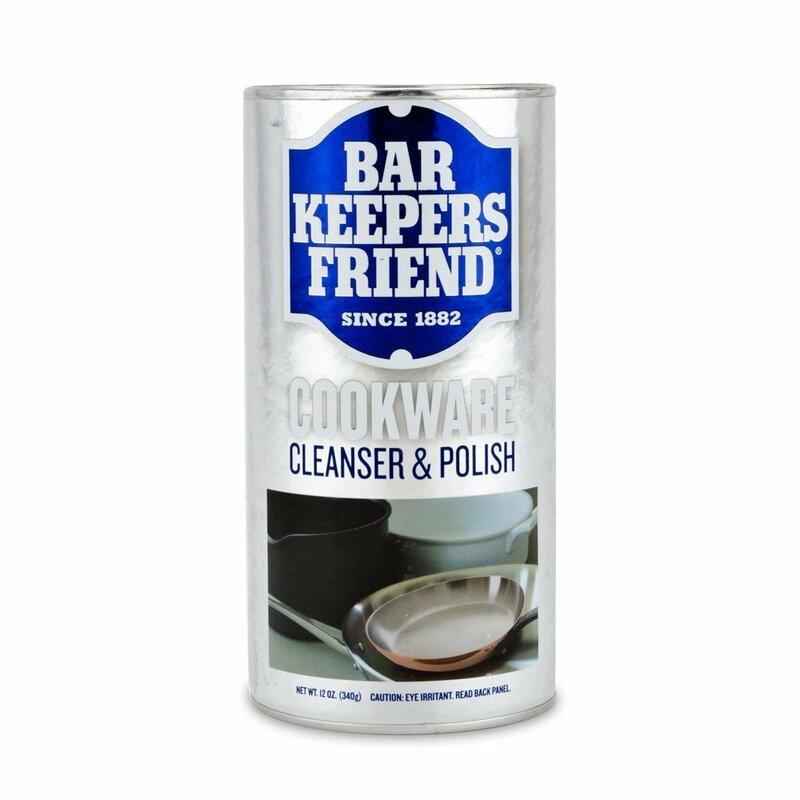 It can be washed at high pressure without taking damage. Dirt has no chance. If you do not have a pressure washer you need to rent one. To make the work go fast and easy, try to find model with 3,000-4,000psi. This level of pressure is necessary to blast off dirt without having to get too close. In most cases this requirement means that you will be renting a gas powered model. 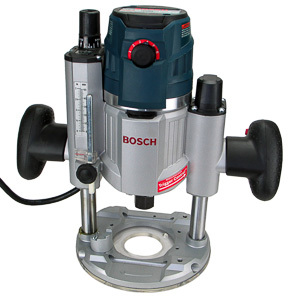 Gas powered pressure washers are considerably more powerful than electric ones. 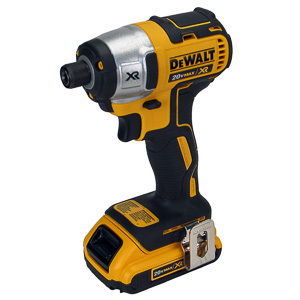 They start at 5HP or higher compared to the maximum of 1.5HP of electric models. Getting a gasoline powered pressure washer home can be challenge, but you will make the work go much faster. If you have a smaller pressure washer, don't worry. You can still get the work done. It will just take much, much longer. You will have to get closer to the surface, and you will have to move slower. The capabilities of a pressure washer change based on the nozzle installed. A tight 0 degree nozzle creates a single, powerful spray of water. 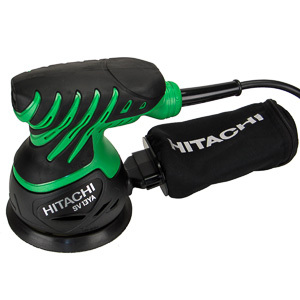 This nozzle concentrates all the power of the water into a very tiny area. 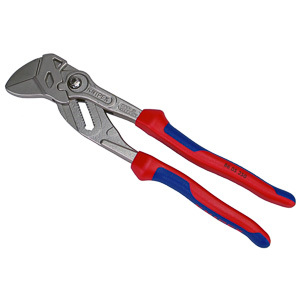 This maximizes cleaning power, at the expense of spary pattern size. A 2-3 degree nozzle dials down the power in favor of having a larger pattern. 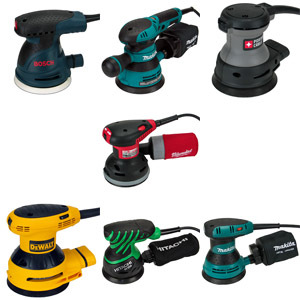 Extremely wide nozzles (20 degrees and wider) can be used to clean decks and cars that would get damaged by a small pattern water jet. 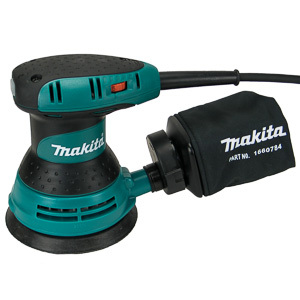 The prefect nozzle for pressure washing large surfaces is a turbo nozzle. A turbo nozzle is a 0 degree nozzle with a spinning head. The motion of the head causes the pattern of the turbo nozzle to be much larger than that of a simple 0 degree nozzle. Ask for a turbo nozzle at the rental center. If they do not have one, a 2 degree nozzle is a good substitute. The work will go slower, but not by much. Pressure washing in an inherently messy process. You will get dirty and wet. Wear pants and shoes you don't mind getting dirty. The most important thing, however, is to wear all your safety gear. Safety glasses: Safety glasses are absolutely essential. The water jet is constantly launching dirty and debris in all directions. Most of this material gets pushed away from the user. In corners, however, it takes very little for something to hit your face. Wear safety glasses when using a pressure washer! Always! Hearing protection: A gas pressure washer produces a lot of noise. It's best to wear hearing protection while being around one. Good shoes/boots: Shoes that cover your toes are important when using a pressure washer. The waster jet of a 3,000psi pressure washer should be thought of as a knife edge. If you hit your toes with the jet while wearing sandals, you will cut your skin as if you had used a knife. The work itself goes fast and is a lot of fun. Start the pressure washer with the correct nozzle installed. Swing the wand over the surface holding the tip about 10" above the surface. You should see immediate results. Cover the entire surface you want to clean. If you move the tip closer to the surface, cleaning power will increase, but the pattern will get smaller. Take care not to get too close for too long. 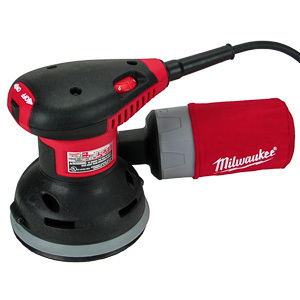 A 0 degree nozzle is capable of blasting aggregate out of concrete. It might not look it, but it's possible to blast away material you do not want to remove. Be careful on stone or cobbler driveways. Not all material can stand up to the concentrated blast of a 0 degree nozzle. The surface layer of some bricks is weaker than the brick itself. If you get too close with a powerful water jet, the top layer of the brick will come off. It's best to do a spot check in an inconspicuous area before attacking the center of the driveway. 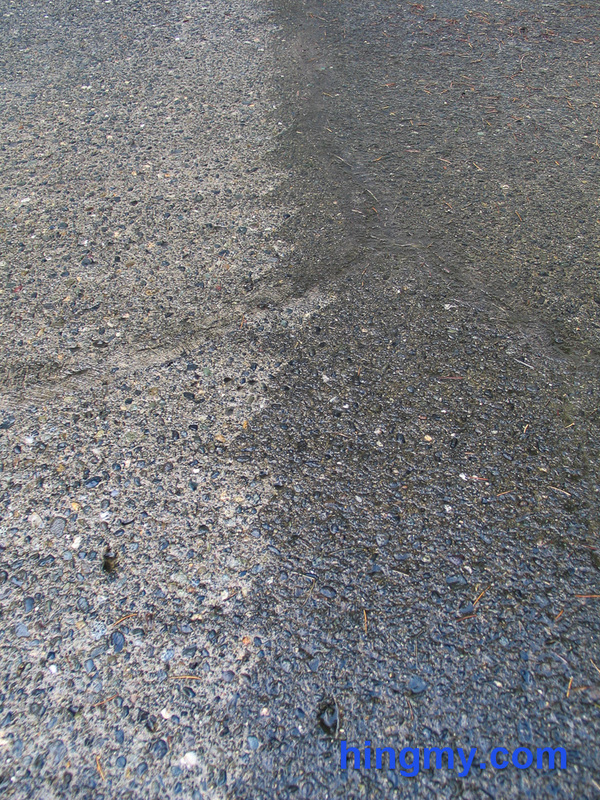 Pressure washing is the fastest and easiest way to clean a driveway. Nothing can stand up to the power of a gasoline powered pressure washer. 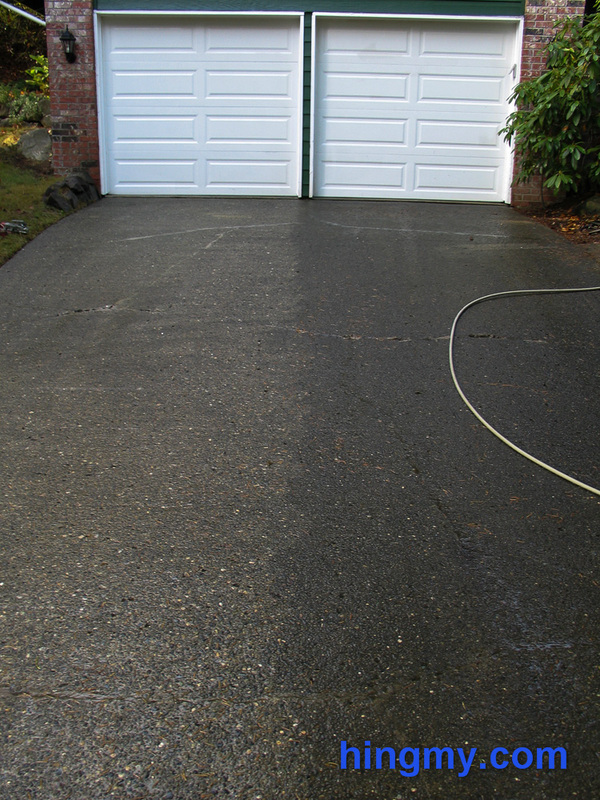 You can clean your driveway in just a few hours with a pressure washer from the rental center. Not only will you get the job done in no time, but you will have fun doing so. Shooting water all over the place is fun.